Thanks to David Ayer’s latest movie, the Suicide Squad has become a household name, and that really is something that I never thought I’d say! Suddenly people who have never picked up a comic book before are talking about Deadshot, Killer Croc, Katana, and others – it’s so cool seeing people interested in these characters. Now that we’ve seen what Warner Bros. and DC’s big screen direction is for Task Force X, it’s time for DC to flesh out a brand new adventure for the team where it all began: the comics! Suicide Squad #1 is totally new reader friendly. It doesn’t matter if you’ve read every Suicide Squad comic before or if the movie was the very first time you saw this deadly group of characters – this comic has what it takes to keep dedicated and new fans entertained. Two teams enter, one team wins a poll. Well, unless there’s a tie, then… everybody’s a winner. Yay! Deadly and unpredictable or skilled and coordinated? 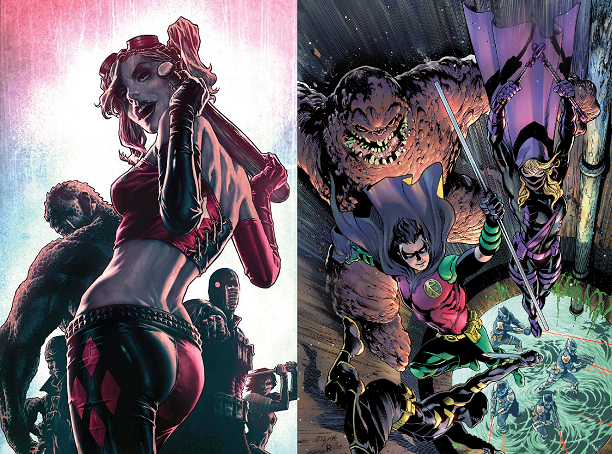 Do you think the Suicide Squad’s lethal and intimidating ways will allow them to overcome the new team in Detective Comics? Or do you think the combination of tactics and talent will allow Batwoman’s group to take down Task Force X? To make things as simple as possible, assume everyone is acting in character and they’re facing off in a city that has no interference from other heroes, villains, and law enforcement. So, which team do you think should earn the victory? Think it through, vote in the poll, and then maybe elaborate a bit in the comments! When all is said and done, don’t forget to read their respective DC Rebirth titles, too! Seriously, it’s good stuff. We’re looking to really step up the amount of content on the blog, so if this performs well enough, we’ll make this a weekly segment, and maybe even include video of the Midtown Comics staff sharing their thoughts on the brawl. As always, we’re open to hearing what YOU want to see, so please share your feedback with us! There are Suicide Squad spoilers in here! You’ve been warned. Politely warned, that is. Not like, Amanda Waller “you’re in for it” kind of warned. I’ve seen David Ayer’s Suicide Squad twice now. Say what you will about the movie, but I had a great time during both viewings. I’ve had a full weekend to really absorb Suicide Squad, and now I’m left thinking about where Warner Bros. and DC could go next with the cinematic version of Task Force X. There’s a lot I’d love to see, but I’ll be practical and stick to four requests. 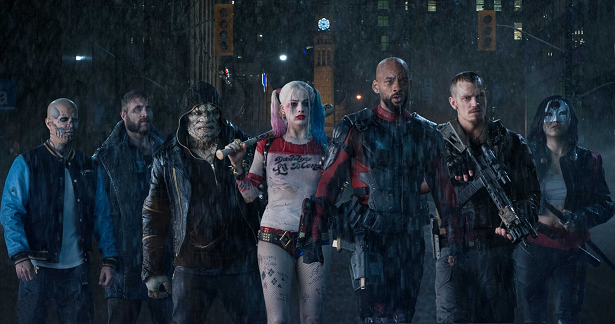 After you’ve read what I’d like to see in a potential Suicide Squad sequel, you’re obviously welcome to chime in with your own suggestions – you know, assuming they aren’t silly like, “Make a better movie.” Be constructive with your criticism, people! Note: this article is assuming Harley Quinn will be back in Belle Reve by the time a potential sequel rolls around, and that Joker received plenty of attention in the Batman solo movie. Midtown Comics Podcast Episode 101! Gregg and Gavin take a deep dive in Suicide Squad, as Gregg gives his review after attending the US premiere! Plus, they chat DC’s upcoming films Wonder Woman and Justice League, as well as Supergirl’s new Superman and Legends of Tomorrow’s Commander Steel. All that and Telltale’s Batman and top picks!